Pure Safety Group (PSG), the largest company dedicated solely to fall protection, has unveiled two new products to complete its Series lineup of three Guardian Fall Protection safety harnesses, with applications for keeping workers at height safe in many real-life work scenario. All harnesses meet OSHA standards, exceed ANSI standards and are pending CSA certification. 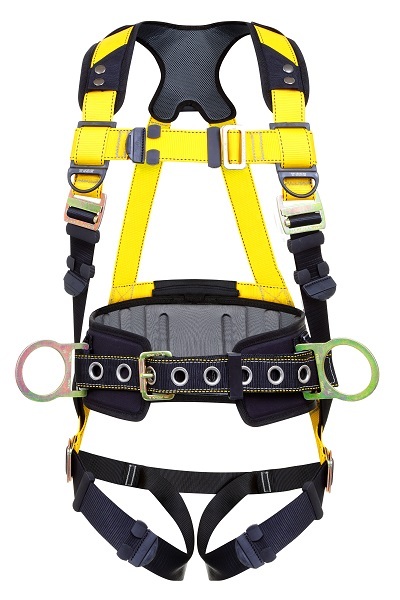 The Series 3 and Series 5 full-body fall protection harnesses are used for personal fall arrest, work positioning, restraint and rescue/confined space applications. Both feature a captivated chest strap that prevents improper adjustment and accidental slippage, rubber web ends that fold over and protect the harnesses against damage, and dual lanyard keepers for safe storage of unused lanyard legs. Both have a loop for easily connecting to a dual SRL connector, freeing up the D-ring for other attachments, and an optional heavy-duty waist pad and belt to accommodate tools. Capacity for the harnesses is 130-420 lbs.